Rider response to the Willesden CC training day has been excellent. The good news is that we still have places left for those who want to make a positive start to their 2014 season. The training session will start at 10:00am, Thursday 2nd January 2014 at Hillingdon Circuit, Springfield Road, London UB4 0LP…. I guess you know where that it is by now!! 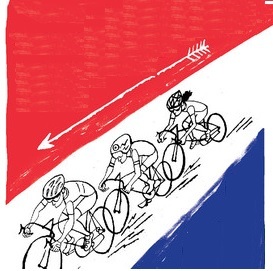 In return for your £3.00 (for Under 18s it’s a bargin at £1.00) the Willesden CC coaching squad will help you achieve your full potential and unleash that awesome inner-cyclist for the upcoming 2014 season. These sessions will be customised to the needs of each rider present, focusing upon the specific skills and techniques that you have identified as requiring further development. So it would be helpful if you could complete the following form to enable the club coaches, Tony Woodford and Ray Kelly, to plan the day. On the day please bring a bike, warm cycling clothing and helmet. There is no requirement for any prior racing or group riding experience and you will be coached at a comfortable pace in a fun and low pressure environment. The sessions will be run at the traffic-free Hillingdon circuit by the Willesden CC’s team of fully qualified British Cycling coaches. We all look forward to seeing you this Thursday!